Before a community oncology practice considers getting involved in clinical trials research, there are many factors to consider. Perhaps foremost is the fact that cancer clinical trials provide the evidence base for new advances in oncology. Goodman explained that there are 2 types of clinical trials that her oncology practice participates in: observational trials, in which treatment adverse effects, biomarkers, and patient tissue samples are collected while the patient is undergoing treatment with an FDA-approved agent, and treatment/interventional trials in which the objective is to determine the next treatment or improve a currently available treatment. Currently, Florida Cancer Specialists has between 50 to 60 phase I clinical trials and 50 phase II/III trials ongoing. A common misconception among patients about enrolling in clinical trials is that this is the last treatment option available, which increases their reluctance to enroll. Goodman said that is far from the case. It is important for patients and their physicians to discuss and consider clinical trial participation “very early on when discussing the full spectrum of care that the patient receives over the course of treatment,” she said. Before a patient enrolls in a clinical trial, the patient reviews a complex document sometimes referred to as the informed consent document, said Harsha Vyas, MD, president of the Cancer Center of Middle Georgia. Vyas noted that it is a prolonged process to get the patient initially enrolled. Goodman said that at each step of the informed consent document, the clinical research coordinator and patient’s physician should explain the clinical trial protocol, emphasizing the amount of oversight and review the protocol underwent prior to being considered for implementation in the community practice setting. 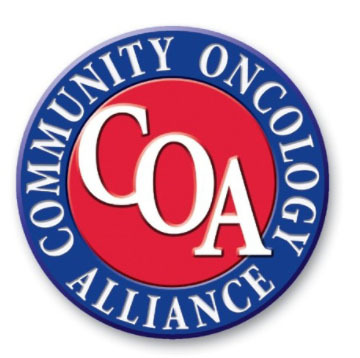 “That oversight extends from initial enrollment, patient recruitment, treatment, and follow-up with many opportunities for the internal review board (IRB) to stop the trial at any time and review records, go over protocols, and audit any information affecting the trial,” said co-panelist Michael Diaz, MD, director of patient advocacy at Florida Cancer Specialists, and president of COA. “In my organization, we have an integrated support staff made up of research coordinators, nurses, and teams that manage the IRB regulatory documentation,” said Goodman. “We also have an external ethics review board providing oversight to make sure everything that we’re doing is taking into consideration the human patient,” she added. That level of oversight might be reassuring to patients who are reluctant to participate in clinical trials. The other patient-centered misconception that is often encountered is that the patient is going to receive a placebo, and therefore does not want to participate. Although there are trial designs that use a placebo control, Goodman emphasized that in oncology, “it would never be appropriate to not give the patient, at the very least, the standard of care. We would not give a placebo alone, without giving a treatment that is approved and appropriate for that patient.” She pointed out that in some settings though, the standard of care is monitoring the patient without any immediate treatment. Darrell Keef, member of the COA Patient Advocacy Network and a patient at Florida Cancer Specialists provided his perspective on the benefit of clinical trials. He had been diagnosed in 2014 with stage IV non–small cell lung cancer that was initially treated with chemotherapy. After 3 years, his disease progressed at which point he enrolled in an immunotherapy clinical trial after confirming that he had biomarkers that could respond. Although resistance to clinical trial enrollment does exist, Vyas left the audience with one sobering fact. “Since 1990, there have been 1.8 million deaths in men and 825,000 deaths in women averted because of the new drugs and treatments developed from clinical research,” he said. Goodman K, Diaz M, Vyas H, Keef D. Clinical trials in the community setting: how community oncology is shaping the future of cancer care. Presented at 2019 Community Alliance Conference, April 4-5, 2019. Orlando, FL. Denicoff AM, McCaskill-Stevens W, Grubbs SS, et al. The National Cancer Institute-American Society of Clinical Oncology cancer trial accrual symposium: summary and recommendations. J Oncol Pract. 2013;9(6):267-276. doi: 10.1200/JOP.2013.001119.